Our 1.9" cross-arms include 2- 300B clamps and all fasteners. They do not include stringer brackets which can be ordered separately. These units provide ¼” extra space in addition to the nominal dimension between the dock posts. For example: a 4’ wide cross-arm will allow 48 ¼” total clearance. 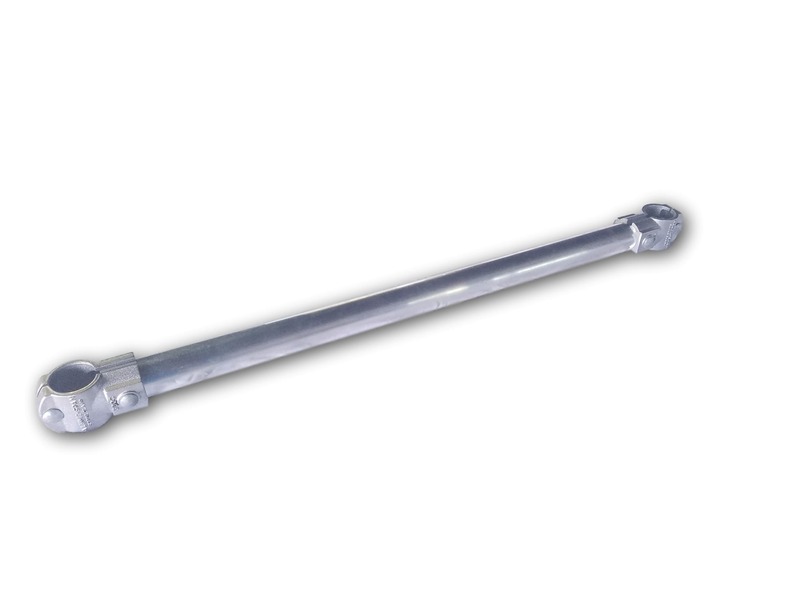 All 1.9" cross-arms use a galvanized tube. Unsupported cross-arms 8’ or longer will be “bouncy” and you should consider trusses for this application.